Every time I go to the local bike shop they are selling another brand of battery .This is my latest ,$74 , and its incredibly heavy . I asked bout lithium (not a fan ) ,and they said they had too many returns . There was a "new ,improved " lithium but at $210 , i'll pass . I don't know whats inside this thing but its has to be a LOT of lead . Oh ,there was a picture on the box with a bike racer with his thump up . Must be good then . Gel Nanotechnology Sealed Battery High Performance MG... advanced sealed activated Battery. Utilising a real gel electrolyte, rather than liquid, the Nano-Gel is able to fully cover the active material all the time, providing a larger effective surface area and prevent lead from sulphation. The nature of Nano-Gel provides maximum holding to the plates which is able to withstand severe vibration and prolong battery life. Significantly, true gel MG batteries offer more battery cycles and longer shelf life,compared to other factory-activated batteries on the market. 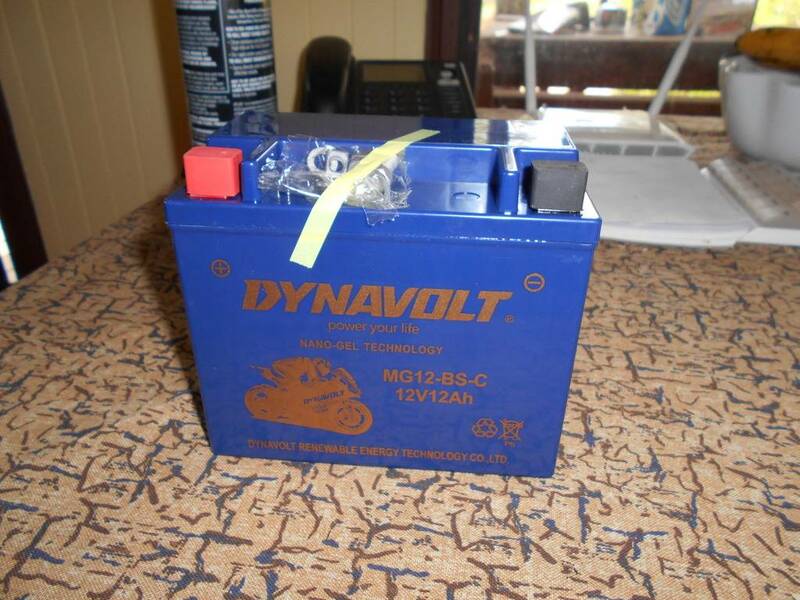 These upgrade batteries offer improved battery performance over the original battery type, and as they are factory sealed and activated they do not require acid filling to commission. I bought one of these in august. CCA's were much higher than advertised. spins the 1200's starter really REALLY quickly. So, if the advertising guy said "This is an AGM battery, just like everybody else is making" then he wouldn't get any bonus on the job, huh.